At High Peak Adventures, we believe adventure is a path to feeling truly alive. Our mission is to open the door to high-level experiences in the mountains, by providing amazing experiences that are balanced with technical expertise and knowledge of alpine conditions grounded in experience. Adventures are individual. We work with clients to design and implement custom trip itineraries to suit individual interests, goals and requirements, which are safe, memorable and gratifying experiences for all our guests. Mountain environments can be extreme. Our ability to maintain client comfort stems from an awareness of conditions, appropriate technical gear and clothing, proper food and hydration, combined with preparation, communication and empowerment of our clients. We work closely with our clients to ensure safety and maximize comfort so that each experience can be fully enjoyed. High Peak Adventures was founded in 2005 by Jeff Witt, and American IFMGA/UIAGM Mountain Guide. 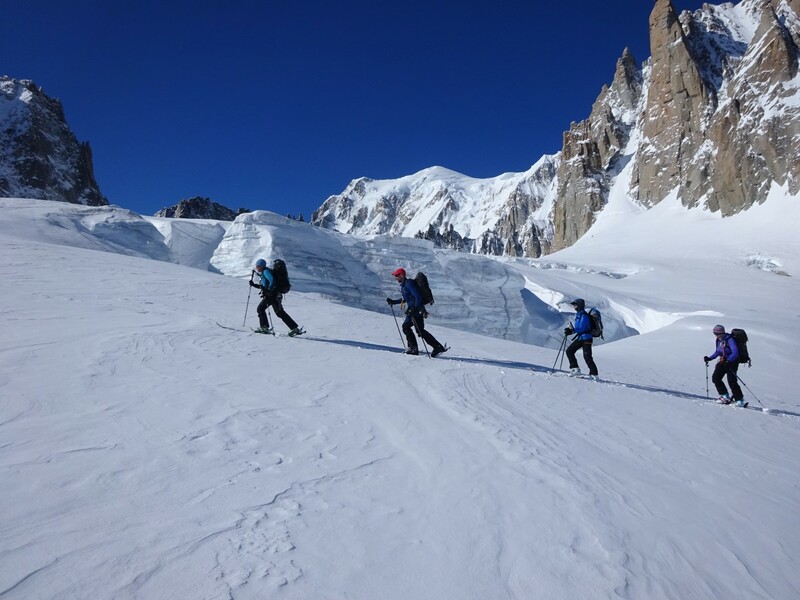 Jeff has guided trips in all disciplines throughout the world, and is currently based in the French Alps of Chamonix, at the foot of Mont Blanc. 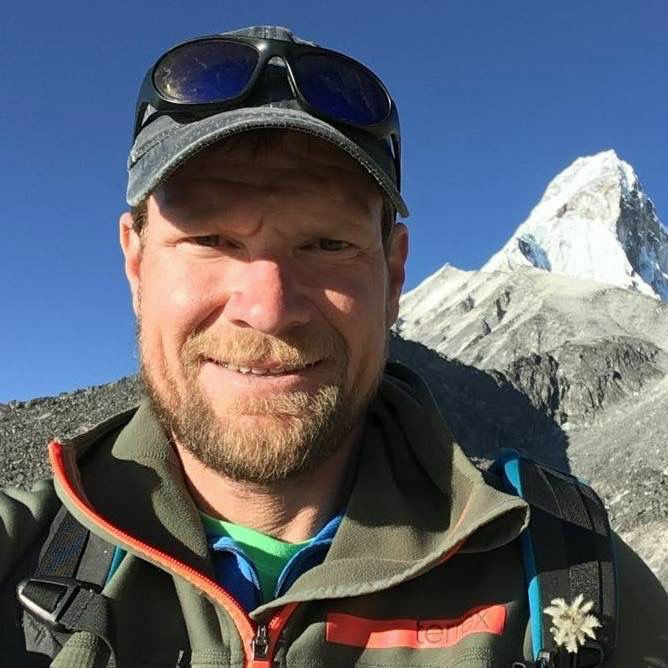 A professional mountain guide since 2002, Jeff Witt brings a depth of experience to his clients, fueled by his passion for sharing the mountains with others. 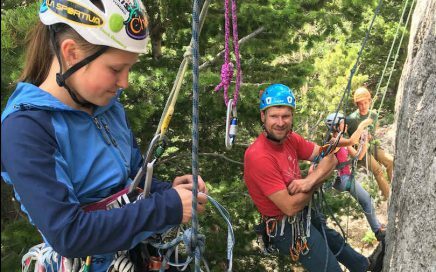 Formally trained as an IFMGA Mountain Guide, Jeff provides top-level guiding skills in all of the mountain disciplines; ensuring safety is a top priority. With an affinity for teaching, Jeff strives to infuse the day with education. Combining skill development with access to new terrain, Jeff’s clients often achieve goals they didn’t know they were capable of. With improved skills and added confidence, clients gain not only an incredible experience, but a deep sense of accomplishment. 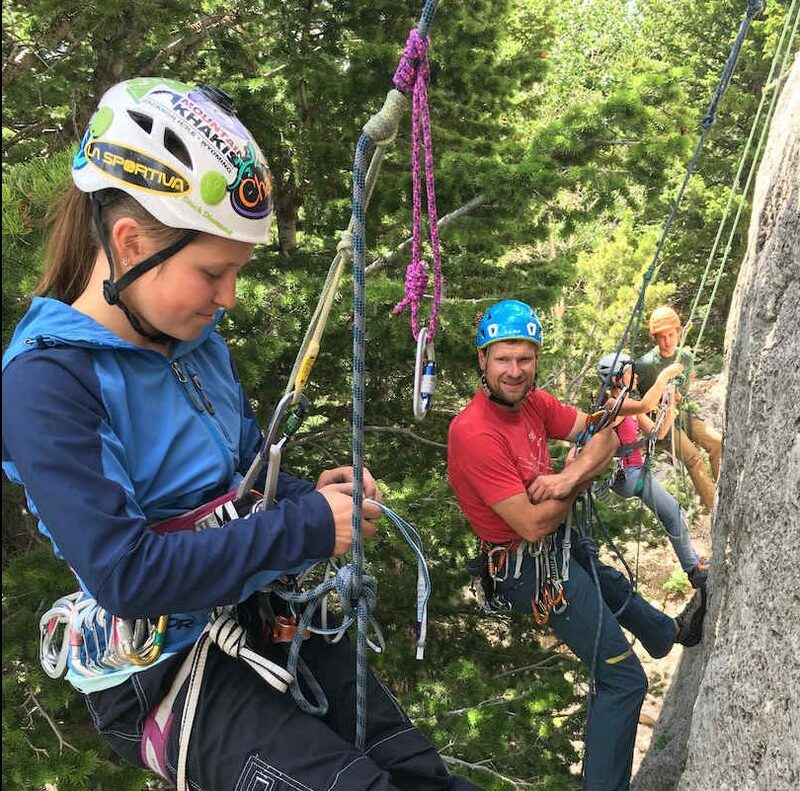 The International Federation of Mountain Guide Associations, or IFMGA, administer the multidisciplinary mountain guide certification, covering the disciplines of ski guiding, alpine and ice climbing, and rock climbing. 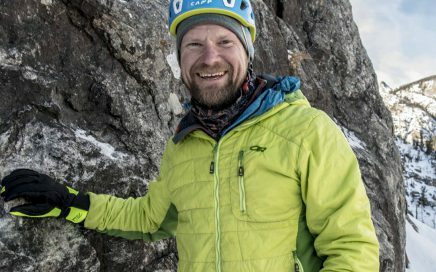 As an IFMGA certified guide, Jeff brings a range of experience from both his professional and personal adventures. 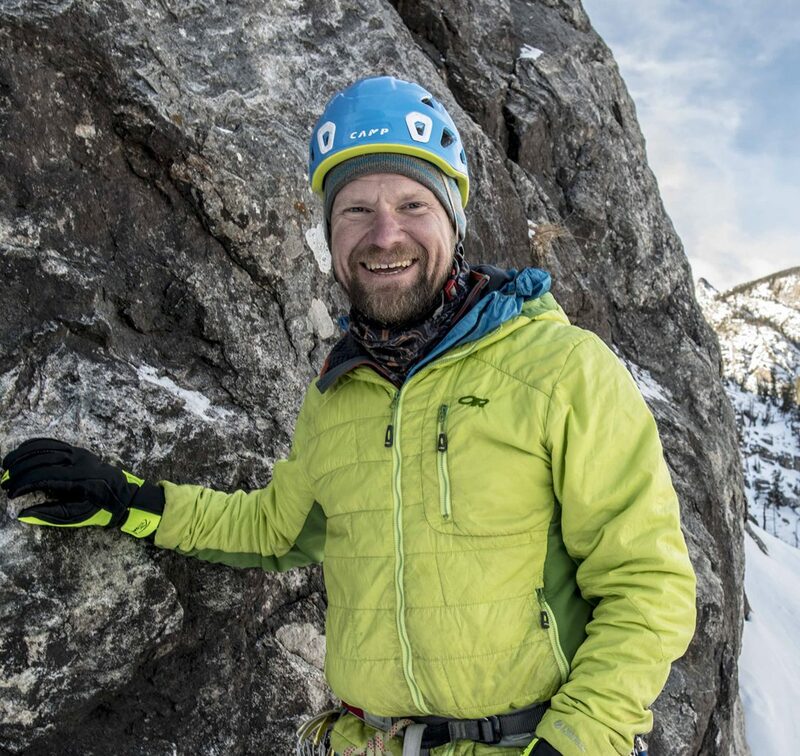 Some of his notable alpine achievements include ascents of the Cassin Ridge on Denali, the Southwest pillar of Fitzroy, the north face of the Eiger in winter conditions, the Nose of El Capitan in a day (NIAD), and skiing off the summits of classic summits like the Grand Teton and Mont Blanc. Jeff has also summited the four tallest of the Seven Summits and has logged countless miles touring by motorcycle through the Americas, Europe and Asia, visiting over 30 countries along the way. His passion for adventure is one of the many experiences we would like to share with you. Booking your next adventure starts with contacting us. Realizing your potential starts with making time to achieve your dreams. The time is now – take the first step towards making your dream a reality! Tell us about your idea – what are you excited to do, where would your next adventure take place, and when would you like to tackle it? Our rates are dependent on guide/client ratio, route length and difficulty. Rates for most climbing and skiing objectives are €300-€600/day. For more involved trips, we will provide a detailed itinerary, costs, and custom quote. Please send us your inquiry via our contact page or email. After we receive your request, we will contact you for more detailed information, and provide you with a custom quote. After the details and dates are finalized, you provide a deposit, and your trip is confirmed. Weather is an unpredictable force of nature, but with solid planning and preparation, we will make the most of what is possible with current conditions. In the Alps, when the occasional problematic weather pattern is encountered, it is easy to skip to the other side of the divide and play in the rain shadow. Inquire for more details of our backup plans. We arrange deposits via Venmo, Paypal, Mollie or a bank transfer, with the remainder payable once you arrive. Guide to Guest ratios are entirely dependent on the terrain and skill of the climbers or skiers. 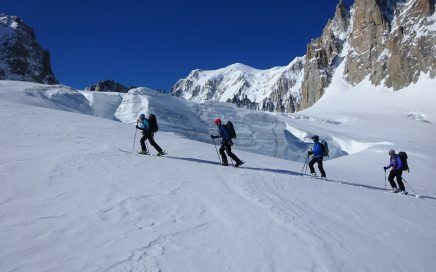 For example, in technical rock and alpine climbing terrain, we often work with two guests to a guide (2:1) in order to provide the highest level of comfort and safety, whereas for a typical Vallee Blanche ski tour, we can accommodate larger groups. Regardless, we are happy to arrange for additional guides to suit your groups needs. Upon booking, we will provide detailed gear lists & itineraries that are customized for your trip. In addition, much of the climbing gear can be rented in the resort village that will be our base of operations. Accommodation options will vary based on the destination of your trip. Most mountain towns in the Alps offer a variety of lodging options from the highest class hotels to simple B&B’s and hostels. We also often arrange stays in mountain huts to facilitate our agenda. For our trips & expeditions, all group gear is provided. We can also provide some personal safety equipment, and for larger groups we can facilitate rental equipment in town.